Emily O'Reilly has been re-elected as European Ombudsman following a vote by MEPs in Strasbourg. Ms O'Reilly, who was the only candidate declared admissible for the post, was elected after securing 569 out of the 635 valid votes cast. Ms O’Reilly's mandate as European Ombudsman will run for five years. 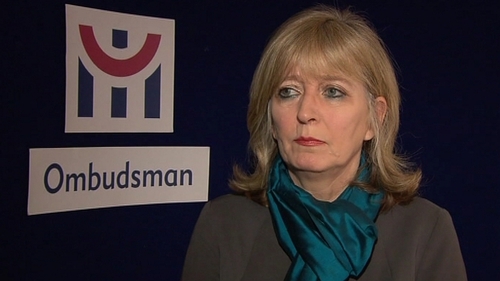 Her role as Ombudsman is to investigate complaints of maladministration by EU institutions. While those institutions are not obliged to comply with the Ombudsman's recommendations, they do so in around 80% of cases. She was first elected to the position last year following the retirement of her predecessor, Nikiforos Diamandouros, and became the first woman and the first Irish person to hold the post. Ms O’Reilly also said the Governments have an obligation to be honest with people about what they are doing and to remove the stress that people feel when they are not being given all the information. She said that she had told the Government this “post crash” when she was Irish Ombudsman, that it if was making cuts as a result of political decisions, then it had to be clear about this. Ms O’Reilly said that she felt this sense of frustration particularly during the medical card controversy, when the Government was removing medical cards she said that the law was not changed but the discretionary piece certainly was. She said she could understand people's sense of frustration when TDs and Ministers would stand up in the Dail and say this wasn't happening, when clearly it was. She said that Governments and politicians have an obligation to remove this stress by being honest about what they are doing even when it is going cause difficulty.